Can't believe it's already first week of February! At this rate, I'll be popping out the baby in no time! I was supposed to be on a maternity leave after our last Oct. wedding but that hasn't happened quite yet since we've been busy booking 2012 weddings and currently working on a side project which we'll launch shortly. I'll reveal the big news sometime in Feb, hopefully! As we look back 2011, it has been such a blessing & successful year for MBS and we're so grateful for our amazing clients who have trusted us from the start. I asked anything & everything productions to put together a sweet video from some of the 2011 weddings we worked on together. The bride gave us a thank you speech to our team during the wedding and so glad they were able to capture it! 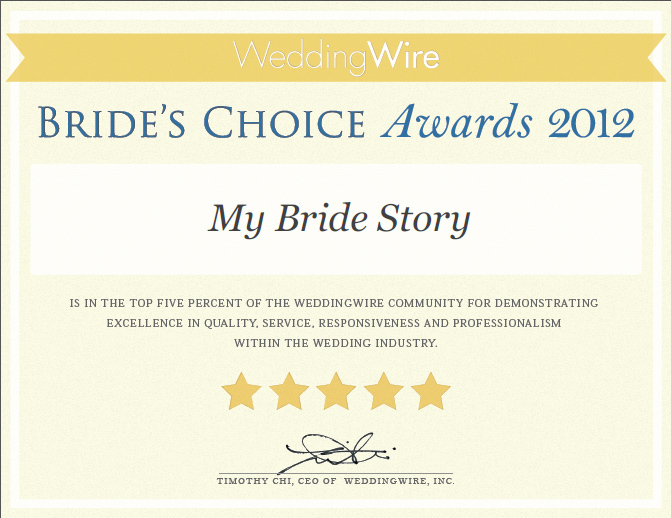 :) We also want to thank our wonderful clients who posted glowing testimonials from Project Wedding & Wedding Wire and we have been selected to receive the prestigious WeddingWire Bride’s Choice Awards™ 2012 for Wedding Planning. It means so much that our previous clients think highly of our services and we'll be sure to work with the same attitude & passion for 2012 events. Hope this video will also make you want to have a good day with us. ;) I fell in love with Priscilla Ahn after going to her concert back in 2009 and have been a huge fan of her music ever since. I think this song depicts the reason why we do the things we do. As cliche as it may sound, our desire is simply for our brides to have a good day and leave all the worries to us. 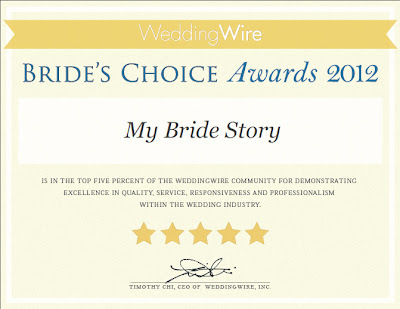 My Bride Story Weddings & Events from Anything&Everything Productions on Vimeo.